Butterfly Creek is one of Auckland's most exciting and colourful attractions. There is an aquaria where you can spot Nemo and his friends, next comes the wonderful tropical butterfly house where over 500 butterflies surround you. Amongst them you can find turtles, monkeys, birds and dragons. Butterfly Creek hosts two giant salt water crocodiles and alligators. There is also a bugs exhibit where you can see tarantulas up close and insects such as locusts. Buttermilk Farm is very popular at Butterfly Creek as it is a great way for the children to interact with the farm animals - see the goat getting milked, pat a bunny rabbit and giggle at the pigs as they snooze. There is a little train that circles the complex and also a playground for the kids to play in, while adults can enjoy a coffee and lunch from the Papillon Cafe and Bar. 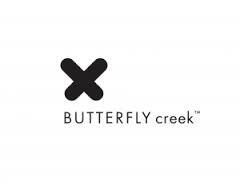 Butterfly Creek is a great day out suitable for all months of the year as it is 50% under cover. New to Butterfly Creek is Dinosaur Kingdom - an exciting exhibit where you can explore all sized dinosaurs that lived millions of years ago.